Vodafone has reported third-quarter revenue that was lower than Morningstar analysts’ expectations, but we are maintaining our 250p fair value estimate and narrow moat rating. We believe the shares are significantly undervalued. The firm reported that revenue declined 6.8% year on year versus our full-year projection of a 5.1% drop. The FTSE 100 firm continues to be hurt by currency movements, particularly the Turkish lira. In local currency terms, Vodafone’s Turkish business did very well, growing 14.8%, but revenue fell 24% in euro terms. 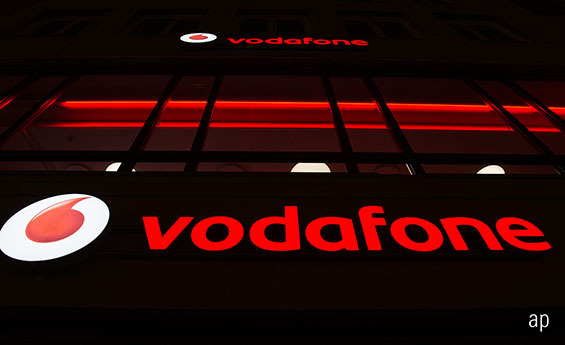 However, with the lira recovering about 25% since its low during Vodafone’s second quarter, results from the country should improve starting in the firm’s fiscal 2020 second quarter. Spain and Italy continue to struggle, with organic revenue declines of 7.4% and 4.6%, respectively. Importantly, though, the telecom markets in both countries began to stabilize by the end of the quarter. This should help revenue in the fourth quarter and bring Vodafone’s revenue decline for the year more in line with our expectations. Elsewhere, in Europe, revenue generally increased, excluding low margin handset financing in the United Kingdom. We anticipate that the rest of Europe will continue to grow its top line as it benefits from higher data usage and the movement toward converged service offerings. We were most disappointed with South African division Vodacom, where organic service revenue only grew 1.4%. While Vodacom’s international operations continued to perform well, growing 11.1%, its core South African service revenue fell 0.9%. In South Africa, the firm changed its pricing strategy, which caused data revenue to decline 0.4%. While this strategic change is expected to help margins, the firm no longer reports full financials for odd-numbered quarters, so we can’t tell if this strategy is working. This is an area we will be monitoring. While revenue declined, the firm is growing its subscriber base. It added 747,000 mobile contract subscribers and 341,000 broadband customers in the quarter. This led to the addition of 190,000 converged subscribers. These signs provide us with confidence that Vodafone’s business is improving.